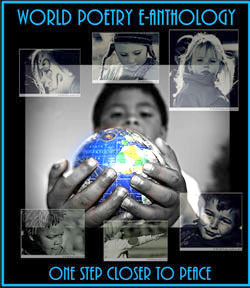 World Poetry Celebrates Barry Plamondon! Ariadne’s Notes: Special Book Launch for the talented and prolific poet Barry Plamonom , Jan 17, 1-2 pm PST on the World Poetry Café Radio Show, CFRO 100.5 FM now in its 21st year of being on the air. 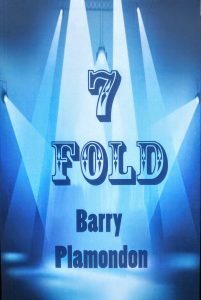 His 7th book 7 Fold by Silver Bow Press was full of meaningful poems and in a fascinating interview , he said that his hearing senses and compassion had increased dramatically since his two strokes. He also read some cowboy poems and talked about the Oregon trail which brought back stories from my grandmother about her great , great grandmother that walked the Oregon Train when she was 8 and refused to be giving a ride by her family in their wagon. When I had polio and was learning how to walk that story motivated me to keep on trying despite everyone telling me I would never walk again. LISTEN TO THIS GREAT SHOW HERE! 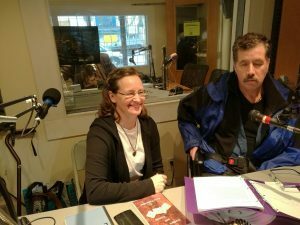 Photo: Barry and his lovely wife at a previous World Poetry Radio show. grew up in Vancouver. After high school I attended both U.B.C. and B.C.I.T.before obtaining a diploma in Practical 22Horticulture.I then worked for 20yrs. as a landscaper before2 strokes ended my career. After spending a yearin various hospitals and care homes I came home to find that I didn’t knowwhat to do with myself. I started writing poetry. There were many failuresbefore I wrote one about my daughter that I was proud of. It was like alight had been turned on,55 years of living just came pouring out onto thepages and I haven’t stopped yet. I self-published my first book “Thisn ‘That. Bric a Brace in Mar. 2016 and followed that with” Crackers and Crumbs” in Oct. This effort was published by Silver Bow Publishing. I am now on my 7th book. There is a ripple on the pond from the stone I cast. It is strong but cannot last. Only long enough to set the next one in motion. Together they would never cross the ocean. But they can lead by example. said a simple “How do you do?”. To the strangers that they meet. At work or on the street. And if each in turn would pass it on. Maybe one day all hatred would be gone. Barry Plamondon (C) All rights reserved by author. This entry was posted in Ariadne's Notes, E-Poets, Featured musicians and artists., Featured Poets, General and tagged Barry Plamondon, International Peace Award Ariadne Sawyer, Silver Bow Press., Victor Schwartzman on January 21, 2019 by Ariadne.